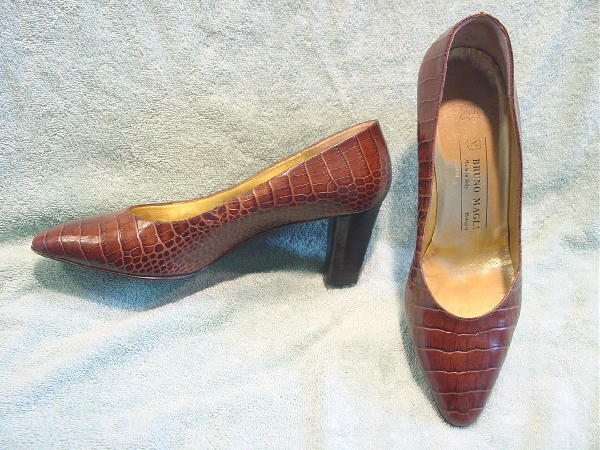 These leather pumps have an embossed alligator pattern in various shades of brown. They were made in Italy by Bruno Magli. 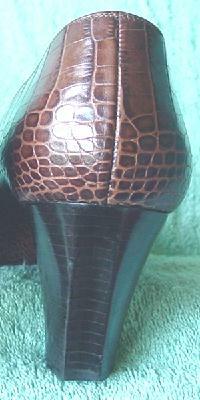 There are stacked heels and they have gold lame leather linings and insoles. The toe on the left shoe has a small scuff mark near the tip. 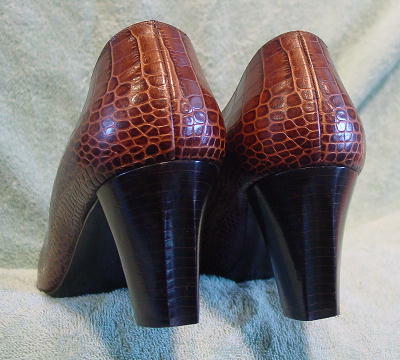 The back of the stacked heel has a decorative center vertical finger-width indentation.